The days are getting shorter here in Philadelphia, which means the beginning of the end of another Summer riding season is upon us. While it is sad that the temperatures are cooling off, not all is lost, as Fall is a perfect time to ride. It means beautiful changing leaves, crisp cool air and, my favorite, less sweating. Although the proper gear is crucial to staying comfortable in the Autumn weather, and thankfully Alpinestars has you covered this season. First up for you folks with a more upright seating position is the all new Alpinestars Pikes Drystar Jacket. This slightly longer than waist cut waterproof jacket will be ideal for Fall, Winter and Spring. The cut should work well on a multitude of bikes, from Cruisers to Sport Tourers. The Pikes gets its waterproofing from a non-removable Drystar liner, and will keep your body heat close with a removable full sleeve thermal liner. Leather on the forearm, TPU shoulder sliders, CE elbow and shoulder armor, as well as pockets for CE rated chest and back armor complete the protection package. 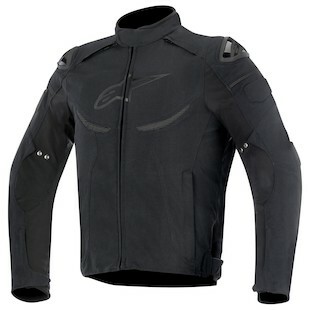 In true Alpinestars fashion this jacket features a full length connection zipper that will mate to any Alpinestars pants. The vents direct air to the waterproof liner, which will help your sweat evaporate when the temperatures rise. Next up is the Alpinestars Enforce Drystar Jacket, which is essentially a waist cut version of the Pikes, packed with almost all of the same Fall and Winter friendly features. 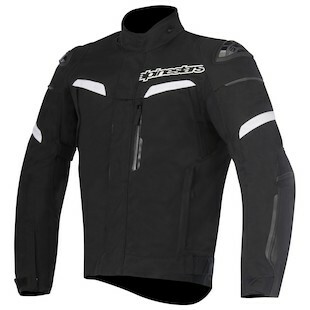 This jacket will be ideal for riders on sport and sport touring bikes with a more aggressive seating position. While it loses the leather panelling on the forearms found in the Pikes, the new Enforce is part of the Black Shadow Collection and features a stealthy blacked out color pattern for a maximum cool factor. Either of these new jackets will pair perfectly with the new Alpinestars AST-1 Waterproof Pants. 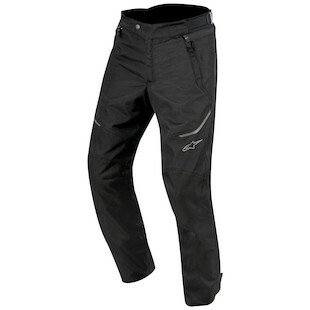 The AST-1’s are packed with the same non-removable Drystar liner designed to keep your legs protected from the elements. The pants do not feature a thermal liner, so they will have a nice svelte fit without too much bulk. With adjustable CE armor and a tough outer shell, these pants should keep you safe should you find yourself hitting the deck. If the ending of summer is getting you down, don't fret. Just get online, checkout this new gear from Alpinestars and get yourself suited up for cool weather riding. With the right gear, the Fall riding season can be your oyster!